Choosing a good web hosting plan is really important for bloggers, especially people who are new to blogging. You might be tempted to start out with a free web hosting provider but trust me it’ll leave a very bad taste in your mouth. You will be plagued with spammy links and advertisements, downtimes and frequent suspension of service with no way to recover your lost data. Some of them have monthly limits which get quickly exhausted and paying them for upgrading your plan is the only option to recover your website data. I learned it the hard way and that’s the reason why I advise my followers to stay away from companies which offer free web hosting plans. Nothing in this world is really free, keep that in mind. If you aren’t paying for a service with your money, you should think harder to find what exactly you are giving up and if it’s worth it. Instead of looking for free web hosting companies, you could go for affordable web hosting companies like GreenGeeks, Bluehost or SiteGround. They have been in the web hosting market for long, know its ins and outs, and are reliable. GreenGeeks is really affordable and fast. Moreover, they care about their customers and guess what…the world. Yes, you heard it right. GreenGeeks cares about the environment. For every amperage of electricity GreenGeeks uses, they invest 3 times that in the form of renewable energy via the Bonneville Environmental Foundation. Your website will be ‘carbon-reducing’ when hosted on its platform. You can feel good that you’re helping make a difference by hosting on a platform that is eco-friendly. 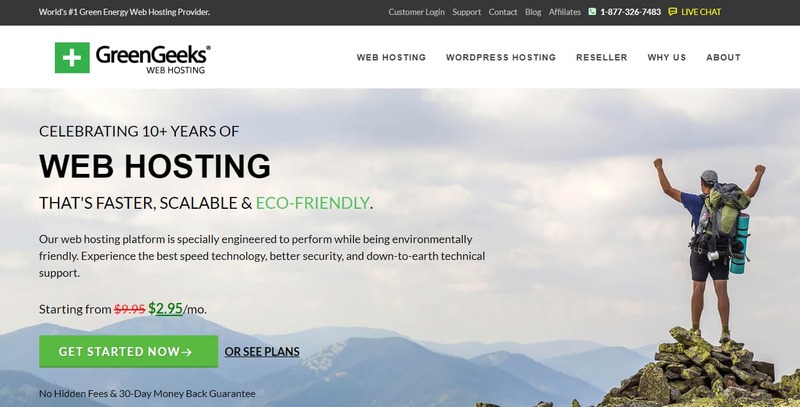 In this GreenGeeks review, I will show you why they are the best choice of web hosting for your WordPress blogs and websites. GreenGeeks started its business in 2008 and they are in the web hosting industry for almost eleven years. At the time of writing this GreenGeeks review, they are hosting more than 300,000 websites with 35,000+ happy customers. They offer 99.99% uptime guarantee and if you are not happy or satisfied with their service, you can get your money back with their 30-days money back guarantee. But I am pretty sure that you will fall in love with their services and you won’t be moving your website to any other host anytime soon. GreenGeeks fares pretty well in all the above aspects and that’s the reason why I recommend them to my readers along with the likes of SiteGround and Bluehost. Now, let’s see some of the cool features of GreenGeeks hosting that makes it a good fit for all your needs. I’m pretty sure you will love these features. Keep reading. GreenGeeks hosting platform is powered by Litespeed web servers along with MariaDB database servers along with solid state drives (SSD) for storing your website’s files. Solid state drives are way faster than traditional hard disks and this will boost your site speed significantly. Moreover, they have got an in-house caching system (PowerCacher) in place that will cache your website’s static files at the server level. This will save a lot of server resources as the number of queries to your web server and database will be reduced. And the best thing about them is their support for Cloudflare integration. Cloudflare is a free content delivery network (CDN) that can help boost your website speed and improve its performance, save you some precious bandwidth, and keep your website secure. It can protect your website from malicious bots and DDoS attacks. If you would like to use Cloudflare without using their 1-click integration, learn how to set up Cloudflare free CDN on your WordPress blog. GreenGeeks also supports HTTP/2 which improves the way HTTP requests and responses are sent from the visitor’s browser to your web server allowing for faster page load times. This will make your website load faster and people will be tempted to stay on your site longer. It will definitely reduce your bounce rate and help improve your Google rankings. If you are going to host static pages with very less content, you won’t be needing much disk space. On the other hand, if you are going to host a dynamic website with lots of content and multimedia, you need more disk space, especially if you are going to upload high-quality images and host audio and video files. Using an image compression plugin like WP Smush or ShortPixel might help in some cases but with GreenGeeks unlimited disk space you needn’t worry about exhausting your disk space which gives you peace of mind. You can just focus on your work without worrying about what happens in the backend. Having support for unlimited bandwidth is very important for scaling your site in case there’s a major bump in traffic. There are many hosting companies which offer unlimited disk space to their customers but limit their usage with a bandwidth usage limit. Imagine your next video review about a popular upcoming motorbike goes viral and thousands of people hit your site every day, what would happen? Your account will be suspended and you will have to upgrade your plan just to bring back your site online. With GreenGeeks hosting, you needn’t worry about your bandwidth usage anymore. Even though I don’t recommend using email accounts that come along with your hosting plan, there are many people who still rely on them for various needs. The reason why I don’t recommend them is they’re not very reliable and easy to use. As far as I’ve seen their user interface looks old and outdated. Using it from your mobile device also required extra efforts from your side. Anyway, if you are short on budget and rely on your hosting provider for business email accounts, you won’t be disappointed with GreenGeeks as they offer unlimited email accounts. You can create as many personalized email accounts as you want for all your employees and company needs. If you would like to manage your email efficiently and effortlessly, I recommend you to check out professional email hosting services like G Suite or Zoho Mail. With GreenGeeks, you can host any number of domains on a single web hosting plan. That is, you needn’t purchase separate web hosting plans for each blog and website you own – you can host them all in one place and upgrade them all to a better plan when you need more server power and better performance. If you haven’t registered your domain name yet, you can get one for free from GreenGeeks. This is a really useful feature for people who haven’t started blogging yet but would like to get started as soon as possible. But if you have got a domain name already, you can also transfer that to GreenGeeks for free of charge. Usually, registering a new domain name or transferring it to another provider can cost anywhere from $10 to $15 per year depending on the domain registrar. But you can save that money with GreenGeeks. If you haven’t registered your domain name yet, learn how to choose a domain name for your blog. If you have already got a blog or website and would like to move it to a new host, now is a perfect time. GreenGeeks offers free website migration as a part of all their web hosting plans. Migrating your site can sometimes be messy and difficult if you don’t know how to do it properly. On the other hand, if you outsource it to a third party, they can charge you anywhere from $200 to $500 depending on the size of your site and complexities involved. But with GreenGeeks, you can avail this service for free and let their experts manage the website migration for you. You can choose your preferred data center location while signing up for any of their web hosting plans. Wondering which data center you should choose? It’s simple. If you are going to target people living in the Netherlands or any other country in the European Union, you should opt for their data center in Amsterdam. 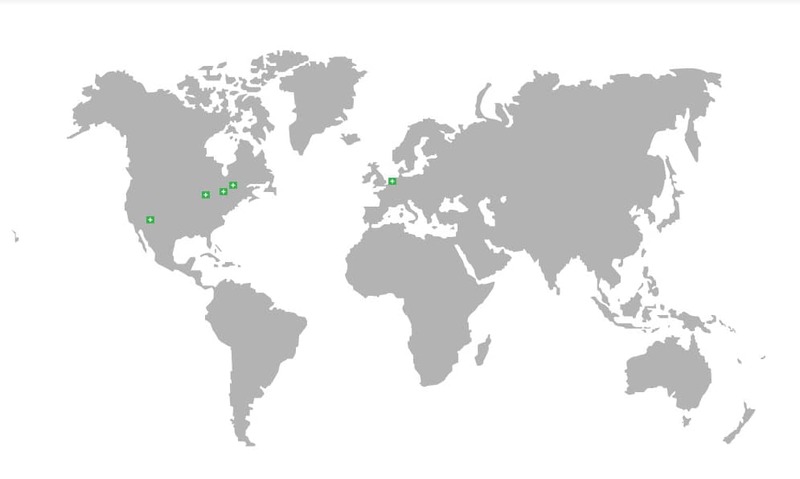 Or if your primary site visitors are going to be from the USA, you could pick the Chicago or Phoenix data centers. If you are a local business in Canada targeting people only living in your country, you could go for the Montreal data center. It shouldn’t make much difference unless your site visitors are from the other part of the world. There can be a decrease in site load times due to latency. But that can easily be solved with the help of a CDN. GreenGeeks comes with one click Cloudflare integration which can be enabled from your hosting control panel. Cloudflare has got 150+ data centers around the world (points of presence) which can help cache your website content and deliver them from the closest data center to the user. Once something is cached in one data center, it will be replicated to all data centers thereby improving the site load times for your website visitors. Click here to learn more about the benefits of using a CDN. With WordPress version 5.2, support for sites running on older versions of PHP (below PHP 5.6) will be dropped. What this means for you is that WordPress sites running on PHP versions below 5.6 won’t be able to upgrade to the latest major WordPress version until they upgraded to a supported version of PHP. Once support for PHP 5.6 is also dropped, you will be required to run WordPress on PHP 7 and above only to receive upgrades. 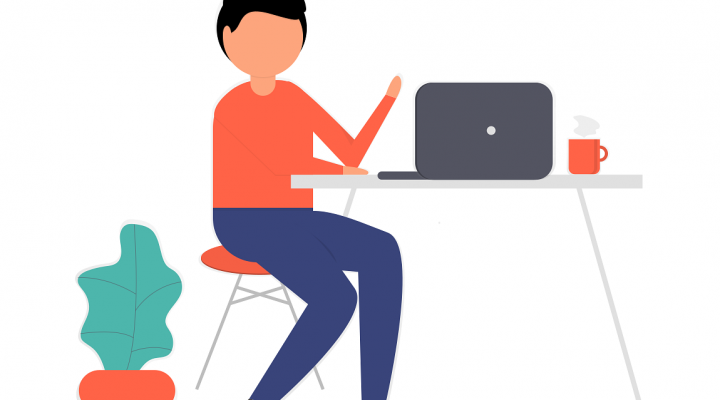 A recent study by Kinsta shows that using updated versions of PHP will improve the overall performance and security of your site. Luckily GreenGeeks has got you covered and I highly recommend you to switch to PHP 7 as soon as possible. NOTE: Some older WordPress themes and plugins which haven’t been updated for long may not be compatible with PHP 7 yet and can break your site. So, before upgrading your site to PHP 7 or above, take a complete backup of your site so that you can revert the changes if anything goes wrong. If you need more help with the upgrading your site’s PHP version, I recommend you to contact their customer support team and they would be glad to help you with this. Keeping your website secure from malware and hackers is an important part of managing a successful website. GreenGeeks protects your site by deploying custom security rules and zero-day vulnerability fixes. Apart from that, GreenGeeks has also deployed a real-time monitoring system to scan files for known malware signatures. If it detects anything unusual about a file, it will promptly be isolated from the rest of your website’s files to prevent it from infecting other files. If you would like to go one step further to keep your website secure, learn how to protect WordPress sites from hackers. In case you need more help with managing your website’s security, you can always rely on GreenGeeks server administrators who work 24×7 identifying problem before they can occur. GreenGeeks hosting plans are very affordable, thanks to their pricing model. As you can see from the above pricing range, GreenGeeks is affordable compared to other web hosting companies. GreenGeeks comes with 24x 7 expert support which is available for all 365 days of the year. You can get help via live chat, phone and support ticket whichever you feel comfortable with. Apart from that, you can also get help from their knowledge base and website tutorials section. As you can see from the above GreenGeeks review, it is one of the best web hosting companies which provides a great value for your money. I hope you found this GreenGeeks review helpful and enjoyed the read. If you did, please consider sharing this post with your friends and fellow bloggers on social media so that they can also discover this eco-friendly carbon reducing web hosting company. 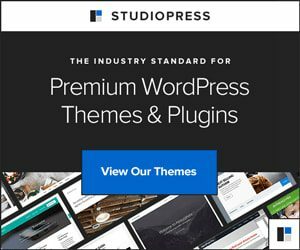 Which hosting are you using for this blog? Thanks for the detailed review about GreenGeeks hosting. I am currently using SiteGround hosting and they quite have restriction over the bandwidth on every plan. So, when your traffic hikes, you need to upgrade your plan. I will check this out.